I’m home again, and back in my garage, covered in paint, and dust, and sweat. I am working on a table and chairs that I have been hired to refinish. When completed, my labours will have produced a lovely finished product, that I will have labored on for about fifteen to twenty hours (a rather concervative estimate). It will be complete, I will deliver it, have my pocket padded, and be on my way to begin yet another project. and I had labor pains, as I hugged her good-bye, forced a smile of well wished excitement and fun … and thought of all that could go wrong enroute. and I had labor pains, as I hugged her good-bye, wishing them a great day of fun … and thought of possible dangers of a waterfall, money issues, and car failures. and I will have labor pains, as he will not be here much this summer … and I’ll miss him. Never, as an expectant mom, did I imagine that my connection to my children had nothing to do with an umbilical cord. It has nothing to do with anything physical! As can be confirmed by mothers who have adopted or fostered children. I don’t desire for my kids to live in momma fear. I don’t desire for them to only do that which makes me comfortable. I want them to live their lives within fearless wisdom, pursuing the dreams, desires and responsibilities that God has laid upon their hearts and minds. A child does not labor for its mother, a mother labours for her child. Not one book I read, in preparation for birth and delivery, ever informed me that the length of labor for a mom (a parent) never ends. Are you a veteran? One who has gone before? Fought the good fight? Risked life and limb of one, for the greater good of many? Do you bear the scars of conflict? Does it rip sleep from your nights? Steal your attention during the days? When we think of love, what we often think of are the sparkling eyed looks between a couple on their wedding day, or first looks of a mom or dad at their newborn, or those pics of people in our lives that we choose, crop, and edit so carefully before posting onto social media sites. What we do not think of are those nights when your toddler has vomited all over himself, yourself and the cat. The fights between a couple when insults, disparaging remarks, and wedding rings get hurled between the two. Family reunions where one side of the family are in one room, and the other side is out on the porch. Anyone who has parents, has a child, has a spouse, has a best friend knows what it is to love, and they know the pain that often is laced in the love. To love is to risk, and that risk can hurt. Any parent who has been sneered at by a moody teen (or, conversely, any teen who has been sneered at by a moody parent) knows what it is to have your heart ripped out without the touch of a hand. Any spouse who has been neglected or taken advantage of knows what it is to question the value of marriage and love. To love is to give and receive that which is intangible, not returnable, yet of more value that gold or diamonds. Any parent who has had the joy of an embrace, a shared laugh or shared experience with their child, knows what it is to have lived heaven on earth. Any spouse who has been appreciated, thought of, and cared for knows that love today is worth the hurt of yesterday. Love is a risk, but it is worth it. Wanting to be away is one thing, but to not want to be here … ouch! I felt the knuckle punch, hard, to my abs, my throat. Ah, but it didn’t end there! My daughter’s and I had a plan to go to the church that my eldest attends, but then she had to work later than planned. I suggested that, rather than leave her out, we could go to another church together, later in the day. Together was, in my mind, the joy. Well, child number three, when we got back home from church, was out of the vehicle and into her room, with her door shut, faster than I could lower my feet from the vehicle. Apparently, it was not her church of choice, and not joy-filled. I went to bed that night feeling rather low, unappreciated, unloved. It was not that they were desiring bad things, but that they were desiring them … more. As I worked through the scar tissue, I realized what my problem was how I heard their words … I heard them through momma ears, where there are momma-sized regrets. I heard their words of preference of another place, through my memories of saying no to things that they have wanted me to do with them, over the years. The times they wanted just one more story, the times they wanted to go to the park, or play a board or video game, or make cookies, or have a tea party, or go for coffee. What I heard was my own condemnation, my own guilt, my own regrets. We need to look forward, not back. Our children are moving forward, grabbing for life’s new adventures, and we need to cheer them on, and be thankful that they want to share the stories of their life with us. In the days since my momma version of the horrible, terrible, no good, really bad day, I have been embraced by arms and words of love from my three. With each embrace I was reminded that their desire for other is not their method of punishing me. As a matter of fact, they have far more memories of things we did together than of times I said not today, just wait, or no. They are not living their increasingly independent-of-me lives, as a punishment for my frailties. As a matter of fact, they are growing increasingly independent because they have had space to grow, to make their own mistakes, to experience their own successes, and then to share their stories with me … even if my ears are not always ready to hear them. imperfectly, but sincerely, love them. When I was first pregnant, over two decades ago, I read every book I could find on pregnancy and parenting. I was certain that I could read how to do it, and that if I followed whatever these books prescribed, my child bearing and rearing would be perfectly flawless. Though there are many great books at the local bookstores and online, it didn’t take too long to realize that raising a child is not something that you can learn from a book, nor is there a prescribed parenting style that can properly raise every child, by every parent. 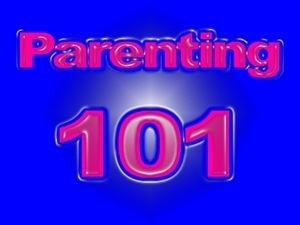 It seems thatcwe simply need to acknowledge that we will do much of our ‘how to parent’ education on our feet. As I look back over the parenting years, I am also forced to look forward. In one year, our eldest daughter will complete her undergrad program in university. In one year, our youngest daughter will complete high school. In three years, our son and youngest child, will also graduate high school. The ‘active’ parenting season is coming to a close. Don’t get me wrong, I do not wish them babies again as I love the novelties and adventures that the teen and young adult stages of life bring to them, and then to us. our faux son (and his sister) from China, came to live with us as an International Student, and he will graduate, and move on to university in the months to come. I made the change from part time work to full time. my youngest daughter was entering high school. only one child in the house was taller than me, and now I am the shortest. And the living and life of today, with our kids, will not return again. And so, as I look back, and look ahead, I am learning a new lesson (one the parenting books failed to mention). one that reminds me of the time I have left with my kids under my roof. will I regret having said “no” when they are gone? One of our kids was maxed out! You know, more assignments than time, more bills than money, more work than hours to rest. This child was down, discouraged and dreading the next day to come. I was left feeling powerless. There was nothing I could do to change the circumstances. There was nothing I could do to tangibly assist with all that was needing to be done, without acting as a rescuer … and we all know that, that does not help long-term. There was nothing I could remember from all of those parenting books. I was feeling powerless, and yet I felt such a desire to lessen the load for this child. So I did all that I could do. I prayed that this child would sense God’s presence. I prayed that this child would put all trust and faith in Him (because we all tend to grab the steering wheel of life at times). I prayed that this child would find a way in the busyness of life to take a Sabbath rest (don’t we all need that reminder?). And I prayed more specific things for this child. And I prayed every day, multiple times a day. It seemed that the more I prayed, the more this child was in my consciousness to remember to pray. And just a few days later, this child came home telling me stories … stories of answered prayers. This child did not know that these stories were ones of answered prayer, until I shared that. But, this child did not know the weight of that reality like I did. But, this time I prayed differently, I prayed out of the desperation of a mother’s heart. There was simply nothing I had any earthly power to do to change the circumstances, and so I bowed to the One who I knew was the ONLY one who loved this child more than I do. I humbled myself, and offered my child up to God, in desperation. God’s answers do not always come this quickly, or this joyfully, but we do need to remember that, on our knees (physically, or mentally) is the best way to parent.